Last summer at the Meeting Professionals International World Education Congress (WEC), we asked a roomful of MPI chapter leaders how we could help them with speakers. Do you know what they asked for? MPI chapter leaders asked us for an easy way to find speakers who can provide continuing education for their members on specific topics such as “Marketing”, “Strategic Planning” and “Human Resources”. These speakers are invited to present at chapter meetings all over the world. 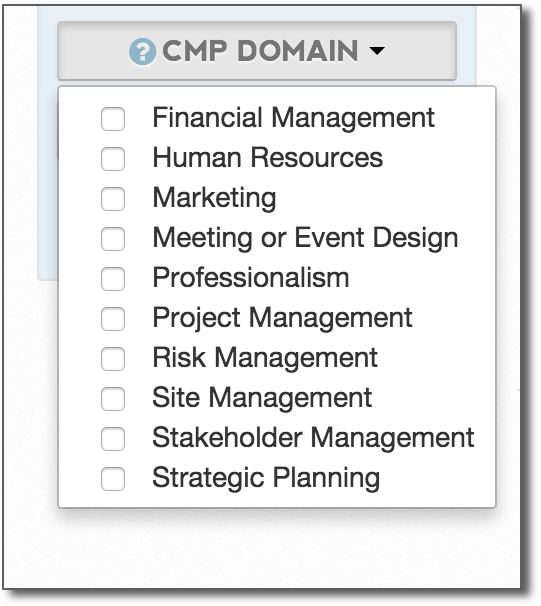 On April 16, MPI chapter leaders will get an email letting them know that their dreams have come true: they can now search the MPI and eSpeakers database by CMP domain. When they get the email, they’ll go to their web browser and search for whatever CMP domain their next meeting needs. You’ll be included in those search results if at least one of your programs is tagged with with the domain they’re searching for.